If your organisation has decided to go down the route of up-skilling and developing existing staff, and preparing them to deliver GCSE maths and English, there are a range of CPD programmes and qualifications to support this strategy. Options focus variously on subject knowledge & skills and subject pedagogy. It is important therefore that options are selected to meet the needs of each individual teacher. ETF has a team of maths and English Regional Specialist Leads who will be happy to advice you about appropriate CPD routes. The Education and Training Foundation offer a range of CPD modules under the Maths and English Pipeline. These range from webinars and single-day courses through to substantial courses over several days. The Maths Enhancement Programme and English Enhancement Programme are particularly recommended for teachers who are upskilling to teach maths or English for the first time, while the Level 5 CPD module for teachers of maths GCSE resits and English GCSE resits are suitable for those with the subject knowledge, but who want to know more about teaching strategies and pedagogy. Teachers who are insecure in their maths and English subject knowledge may benefit from the Education and Training Foundation’s online modules to develop their personal skills at GCSE level and beyond. Teachers will also find self-evaluation tools for maths and English on this website, as well as series of stimulus videos for improving maths teaching. The Education and Training Foundation’s Retrain and Retain programme offers bursaries to providers to support staff at risk of redundancy and retrain as maths and English teachers. The programme involves a combination of 10 days CPD and mentoring from a specialist consultant. Many organisations have a long history of providing opportunities for staff to gain functional maths and English qualifications at Level 2. Some colleges have gone beyond this to offer GCSE maths and English courses for staff – and have invited staff from other organisations in the area to make up the numbers. You may also want to consider the Level 3 Awards in Mathematics for Numeracy Teachers and English for Literacy & Language Teachers. These short 12-credit qualifications provide an opportunity for teachers to extend their subject skills beyond Level 2 without doing an A-level. 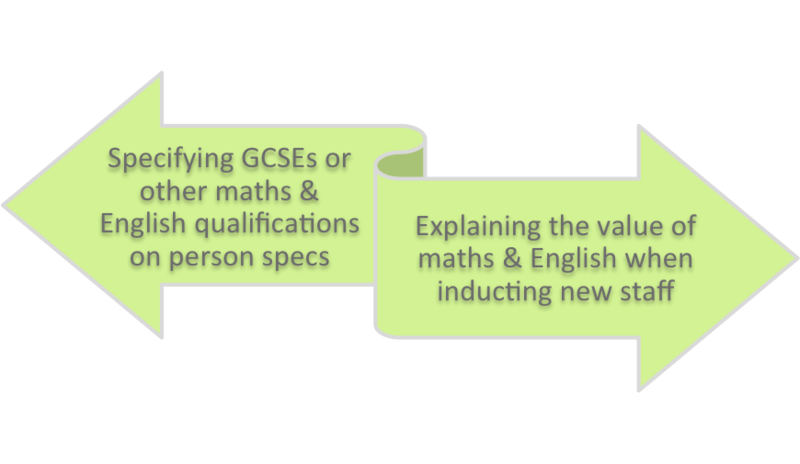 This suite of specialist teacher training qualifications for maths and English teachers is still available in many parts of the country. Qualifications are offered by both colleges and universities at Level 5 and above, and sometimes can be integrated within generic initial teacher training qualifications. Although initially created for Skills for Life and functional skills teachers, the pedagogical approaches are similar and many courses have now been adapted to include approaches to GCSE.